Salt baths figure in several traditional and folk medicine traditions. 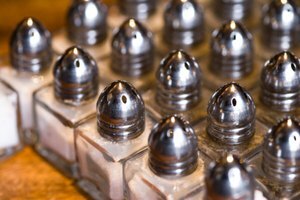 In Ayurvedic medicine, salt baths are believed to have a soothing and de-stressing effect. During Victorian times, salt baths were known as sool-baths and were believed to stimulate the nervous system. A historical description of sool-baths in the 1875 "London Medical Record" hypothesizes that salt "furnishes a good conducting recipient for animal electricity." 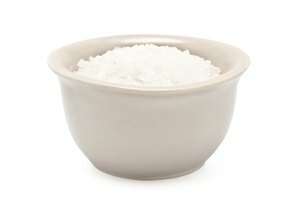 Adding table salt to bath water may have originated as a means to emulate bathing in the ocean or sea. Clean the bathtub to remove any mineral deposits or soap scum from previous use. Avoid cleaning products with a harsh smell that will disturb your bath. Start filling the tub with water adjusted to your preferred temperature. Bear in mind that the water will cool slightly as it stands in the tub. Add 2 1/2 cups of table salt to the water as the tub fills, pouring the salt so that it falls in the same area where the water is coming in from the faucet. This will help mix the salt into the water. If desired, agitate the water with your hands before you get it to stir in any grains of sand that might have settled to the bottom of the tub. However, the salt dissolves into the tub water fairly completely even without agitation. If desired, rinse off with clean water after your bath. The bathwater will taste salty, but like seawater, does not contain enough salt to irritate your eyes or any breaks in your skin. A 26-oz. canister of table salt is about equal to 2 1/2 cups. How Does Salt Water Affect Skin? 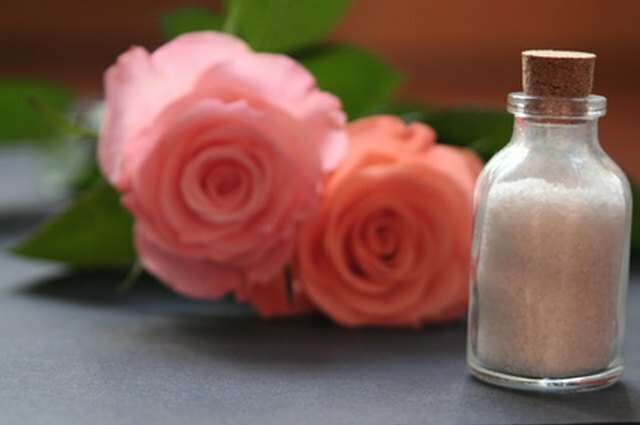 Is it Good to Put Himalayan Salt on Your Face?